Fuel cells generate electricity using an electrochemical reaction, not combustion, producing zero or near-zero polluting emissions, depending on the fuel source. For larger stationary fuel cell systems, natural gas is the most common feedstock, relying on the widespread infrastructure of natural gas pipelines throughout the U.S. Some natural gas-fueled fuel cells have been running for more than a decade. Fuel cells are providing both primary power and back-up power to hundreds of sites across the country in a range of applications, including data centers, utilities, businesses, condominiums, grocers, hospitals, and more. Able to be installed as part of the electric grid, or in parallel to it, fuel cells provide seamless and reliable power without disruption due to grid failure or blackouts. Fuel cells generate electricity using an electrochemical reaction, not combustion, so there are no polluting emissions, only water and heat as by-products. Many fuel cells are fueled with hydrogen, which can be derived from a wide range of traditional and renewable sources, including biogas. Many facilities, such as wastewater treatment plants (WWTP), landfills, food/beverage processing facilities, wineries, breweries, dairies, large industrial factory farms and confined animal feeding operations (CAFOs), generate tons of organic waste as a byproduct of daily operations, be it sewage, effluent, food or animal waste, all of which can be expensive to remove and burdensome to store. These sites often use an anaerobic digester to convert the organic waste into methane or anaerobic digester gas (ADG), and then burn the ADG, in a combustion-based generator or flare it into the atmosphere to dispose of it. Although ADG is considered carbon-neutral since it is derived from an organic (non-fossil) source, flaring or burning leads to releases of direct and indirect GHGs and other air pollutants. Since ADG contains hydrogen, which is the fuel of choice for fuel cells, a cleaner, more efficient option is to use the gas in a fuel cell to generate electricity and heat for the plant, following a gas cleanup step. commitments to increase production and sales in the next few years, many misconceptions and myths are being perpetuated by critics and those unfamiliar with the technology. Fuel cells generate electricity using a chemical reaction, not combustion, to unleash a fuel’s latent energy. They are clean, quiet, efficient, and scalable, making fuel cells an excellent option in nearly every power application, including transportation. United States Ambassador Caroline Kennedy and Vice President of Business Development Kareem Afzal when PDC Machines showcased its hydrogen compression technology and fuel cell hydrogen station systems integration capabilities at the 11th International Hydrogen & Fuel Cell Expo, FC Expo 2015, Tokyo, Japan. PDC has delivered the compressor to a leading manufacturer of H2Station® hydrogen refueling stations which has supplied a Hydrogen Refueling Station in Hamburg for a major infrastructure provider in Germany which is part of a planned 50 station network in the country. Today a video was released by Shell on Youtube showing the entire planning and construction process for the recently inaugurated hydrogen fueling station in Hamburg – delivered by H2 Logic. Shell Deutschland Oil GmbH inaugurated a new hydrogen fueling station in Hamburg Monday 16 Marts based on H2Station® technology from H2 Logic. The fueling station is the first in Germany to obtain a 2014 approval from the Public‐Private Clean Energy Partnership (CEP) after extensive third party acceptance and verification tests. 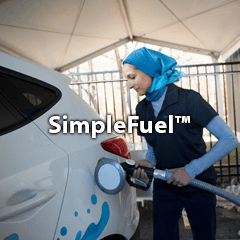 This ensures that vehicle users experiences a fast and reliable fueling of hydrogen with long driving range, similar to that of gasoline vehicles. The 20th World Hydrogen Energy Conference 2014 International Conference and Exhibition was held on June 15 – 20, 2014 at the Kimdaejung Convention Center, Gwangju, Korea. The world’s hydrogen and fuel cell community came together in Gwangju, Korea for the World Hydrogen Energy Conference 2014 (WHEC 2014). The event covered hydrogen products, hydrogen distribution infrastructure, hydrogen storage, hydrogen component/ equipment manufacture, fuel cell manufacture, fuel cell vehicles and renewable energy. An Air Force Research Laboratory project demonstrated its mission capability during a power outage at Joint Air and Naval Base Pearl Harbor-Hickam Hawaii. An Air Force Research Laboratory project demonstrated its mission capability during a power outage at Joint Air and Naval Base Pearl Harbor-Hickam (JBPHH), Hawaii, Dec. 5. A containerized hydrogen fuel cell back-up power solution commissioned by Hydrogenics Corporation, proved successful when it quickly engaged to replace power to its designated areas during the outage which affected the base for nearly 12 hours. 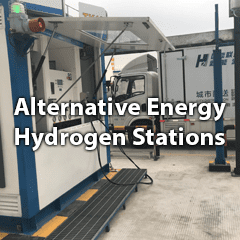 “The fuel cell system didn’t miss a beat, not even a single hertz,” said Mark Schultz, site manager for HydraFLX Systems, operator of the Hydrogen Station under a cooperative agreement with AFRL’s Advanced Power Technology Office (APTO). The system was used to enable the continued operation of the Hickam Hydrogen Station, providing for the hydrogen fleet at JBPHH. This real world event proved to be a demonstration of the utility of Hydrogen Fuel Cell technology. Hydrogen alternatives reduce the Air Force’s reliance on petroleum fuels for ground based vehicles and equipment through the adoption of alternative, renewable energy sources. Hydrogenics fuel cell power modules are currently powering a number of FCVs, including buses that operate around the base. “Events such as the outage at JBPHH help underscore the capabilities of hydrogen based power generation for critical applications,” said Daryl Wilson, Chief Executive Officer of Hydrogenics. “We salute the members of AFRL and HCATT for their forward thinking in applying this technology for the Hydrogen Station at the Joint Base Pearl Harbor-Hickam.” The fuel cell system project is an effort under AFRL’s Advanced Power Technology Office. The APTO program executes technology development and demonstration of alternative energy technologies on behalf of the Deputy Assistant Secretary of the Air Force, Energy. PDC Machines along with it’s representative in Japan Tokyo Boeki Mechanics exhibited PDC Machines diaphragm compressors for hydrogen service. US Ambassador to Japan Caroline Kennedy visited PDC’s booth to learn about it’s capabilities. Kareem Afzal, Vice President of Business Development highlighted our experience in supplying compression systems for demonstration and commercial installations worldwide for hydrogen refueling of cars, buses and material handling equipment. Kareem Afzal, PDC Machines, Vice President for Business Development, spoke at the Fifth World Hydrogen Technologies Convention (WHTC2013) Shanghai Everbright Convention & Exhibition Center, Shanghai, China 25th – 28th September, 2013. Mr. Afzal presented an over-view of the current status of the hydrogen re-fueling market for vehicles, buses and material handling. He also noted PDC Machines, has more than 180 diaphragm compressors installed in hydrogen energy applications world-wide and emphasized PDC’s extensive experience in delivering 700 bar compressors. Mr. Afzal confirmed PDC will continue to pursue the goal of cost effective solutions to deliver high pressure hydrogen. Currently PDC is actively refining and improving it’s technology and manufacturing methods used for 350 and 700 bar gas compression to enable commercialized solutions to take hold in the emerging marketplace. PDC Machines is the world’s leading manufacturer of diaphragm compressors for use in the specialty gas, chemical, petrochemical, and renewable energy industries. 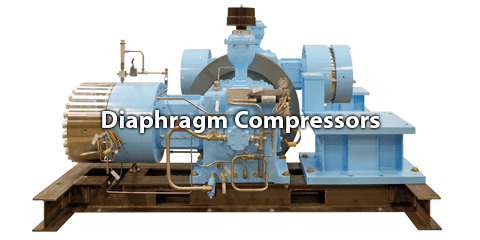 Its’ diaphragm compressors are ideal for contamination-free and leak-tight gas compression of all types of gases where ultra-high purity gas is required. To consolidate it’s global presence and to offer it’s local customers more effective service support, PDC Machines is proud to have appointed UMW Industrial Power Sdn Bhd as its representative in Malaysia. UMW is a leading industrial enterprise with diverse and global interests in the automotive, equipment, manufacturing and engineering, and oil and gas industries. They are a recognized leading player in the Malaysian oil and gas industry with strong inspection and repair services to support the petroleum and petrochemicals industry. UMW will be responsible for PDC Machines’ sales, marketing, local service support as well as quick delivery of spare parts. Contact details on UMW and other PDC world-wide service centers, please visit our web page here.